Beirut Lebanon: Virgin Megastore, the global leader in retail entertainment, organized its annual “Back to School Fashion Show” modeled by children of the media and friends of Virgin Megastores, for the third year in a row, in the recently inaugurated branch in City Center Beirut, on the 18th of August 2016. This year’s fashion show; entitled “It’s Showtime”, gave youngsters the chance to explore and experience the spotlight on the runway, by showcasing the latest Virgin Megastore’s “Back to School” collection. 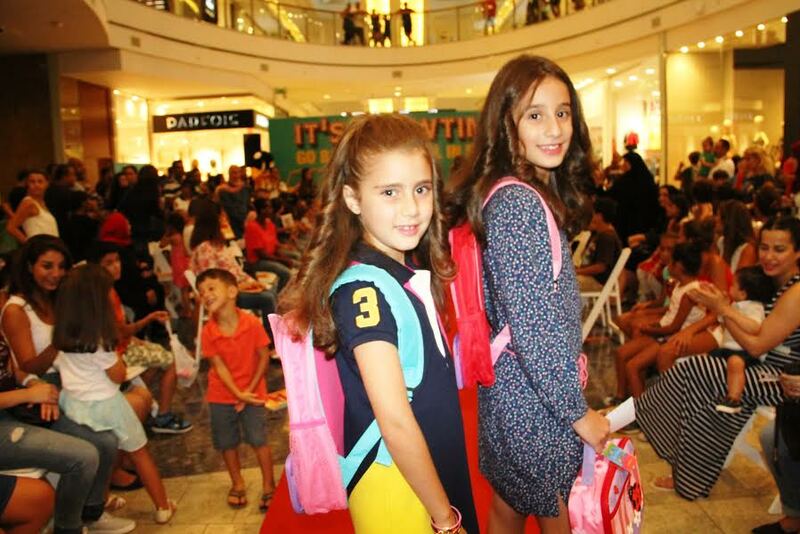 The fashion show took place on a special runway in the heart of Beirut City Center among crowds that cheered the kids and enjoyed the stylish back to school collections. The exclusive school collection of Virgin Megastore allowed the children modeling to feature cool, funky, trendy and fashionable backpacks, lunchboxes, pencil cases, water bottles, school stationary, and many more unique items. at a very affordable price. “Back to School Fashion Show” from Virgin Megastore, encourages kids to adopt a positive and enthusiastic attitude towards school, by offering them special and unique school accessories to use in expressing themselves and showing their modeling skills. Virgin Megastore has created a whole new dimension in consumer experience by catering to local cultures through various events and activities that it initiates or supports. It is a combination of the Virgin Megastores entertainment experience with the talents of the communities in which it is active in retail.